Brass is back in fashion! So say the interior gurus. It is deemed to be the interiors metal of the Spring/Summer 2015 design season, particularly brasses with a lovely warm tone. 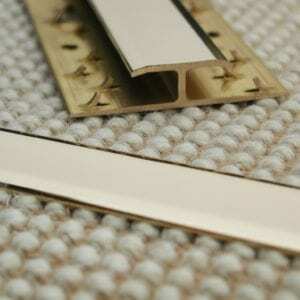 Polished brass door bars and threshold strips have always been a popular choice but now they are the perfect way to introduce a fashionable and on-trend accent to your home. Victoria Redshaw from the forecast agency Scarlet Opus, reported back in early 2014 that: “Brass is glamorous without being ostentatious and that is what feels more palatable for consumers right now.” Well, it may have taken a year to arrive in the flooring sector, and specifically internal brass door thresholds, but it has certainly made it now. Mirror finished chrome is still popular but antique brass has taken the top spot. We are in good company, so it seems. 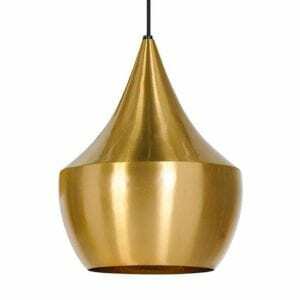 Housetohome, the online home decorating website, has come up with some inspiring ideas for adding a touch of brass to your existing décor, including a brushed brass light pendant, textured bowl and a fun, vintage drinks trolley. I must admit I do particularly like the look of some of the new ranges of furniture on the market which feature an elegant brass trim on the table legs. A subtle detail which appeals. The mirror finish of the solid brass Feline 2 is exemplary and has a decidedly warm gold, contemporary appeal. The antique brass Premier Door Bars ZZ are much more mellow and have an appealing grain to them whilst the satin brass version of the same product range has a matt finish. We’ve recently photographed the finishes offered in our Premier Door Bar collection to achieve a closer likeness to the real thing. We are really pleased with the results. They look so lovely and rich in reality and we now feel that we have captured that better in the swatch and product images we show online. However, the colour you see on your screen is influenced to a certain extent by the calibration of your scheme, so if in doubt you can always ask for a sample. It is also worth remembering that a natural brass finish will change over time, unless it has been protected with a special coating or sealant. To what extent it changes will depend on the conditions in your house, particularly the moisture content and the local atmospheric conditions. Cleaning brass is an option, if you want it looking pristine, or you can enjoy the natural look created by nature.